Millions of readers have been captivated by C. S. Lewis’s famed Chronicles of Narnia , but why? What is it about these seven books that makes them so appealing? For more than half a century, scholars have attempted to find the organizing key—the “secret code”—to the beloved series, but it has remained a mystery. Until now. How does medieval cosmology relate to the Christian underpinnings of the series? How did it impact Lewis’s depiction of Aslan, the Christlike character at the heart of the books? And why did Lewis keep this planetary inspiration a secret? Originally a ground-breaking scholarly work called Planet Narnia , this more accessible adaptation will answer all the questions. I’m a lifelong Chronicles of Narnia fan. I first read the series when I was only about six or seven years old. But I have to admit I wasn’t sure what to expect when I received a copy of The Narnia Code: C. S. Lewis and the Secret of the Seven Heavens by Michael Ward to review. It all sounded too mysterious and sensational…I was skeptical. It turned out to be fascinating! Dr. Ward makes his case convincingly, and the book reads almost like a mystery novel as he uncovers more and more clues and evidence to support his theory. 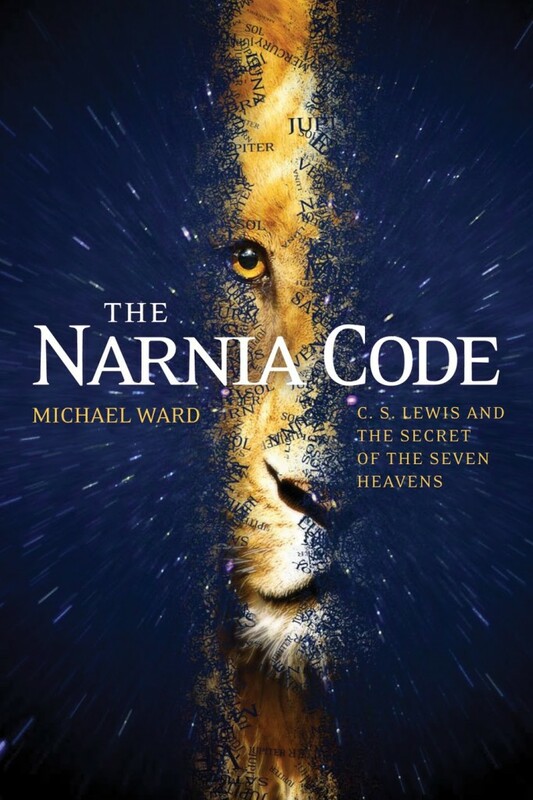 The Narnia Code is a popular level treatment of his earlier, more scholarly work on the same theory called Planet Narnia: The Seven Heavens in the Imagination of C. S. Lewis . There’s also a documentary available on DVD . The books have been criticized as being a hodgepodge, and there has always been speculation about a unifying theme to the series, but none has ever been found. Certain “out of place” things in the stories had always bothered Dr. Ward…he knew enough about Lewis to realize that he never did anything unintentionally! So, why does Father Christmas appear in The Lion, the Witch and the Wardrobe ? Shouldn’t it be “Father Aslanmas”? Why does the Roman god Bacchus appear in Prince Caspian? These and several other things just don’t seem to fit. Well, I think that Michael Ward has convinced me that he’s found that unifying theme! Dr. Ward, an expert on C.S. Lewis, asserts that the seven Chronicles of Narnia are structured around the seven medieval planets. Lewis loved all things medieval, and of course his academic field was in the literature of the Middle Ages and Renaissance. The key to “cracking” the “Narnia code” came in the form of a long poem C.S. Lewis wrote in 1935 (fifteen years before The Lion, the Witch and the Wardrobe was written) called “The Planets”. The poem is all about how the planets were understood in medieval times, when it was believed there were only seven planets and that they exerted influences over the Earth, affecting people, events, etc. I don’t want to give away too much, but I will say that I’ve read quite a bit of Lewis’ work and several biographies in preparation for a junior high literature class I taught about the Chronicles , and Dr. Ward’s theory seems very convincing to me. I found his explanations and knowledge of how C.S. Lewis thought to be spot on! The way Lewis’ mind worked was truly extraordinary! The Narnia Code is definitely a must-read for all fans of C.S. Lewis and Narnia! Thanks so much to Tyndale for providing my review copy. All opinions expressed are my own. Very interesting! When we read the Narnia books with my daughter, I may get this one for myself. While I am not a Narnia fan, my children and husband are. Thanks for sharing this book. I think my hubby my would like to read it. Stopping by from the Hip Homeschool Hop!